Did you know that most auto dealerships that offer financing options don't actually provide loans in-house? They instead partner with subprime lenders to provide low-cost financing to the consumers that have a hard time securing traditional auto loans because their credit scores are low. If you need to buy a new car, you should consider a car dealer in our network that does offer this type of financing. There are many reasons why you should use in-house auto financing, but the best reason is that the dealerships that Auto Credit Express works with can get nearly anyone approved to purchase a new or used vehicle. Why Wouldn't You Use In-House Auto Financing? 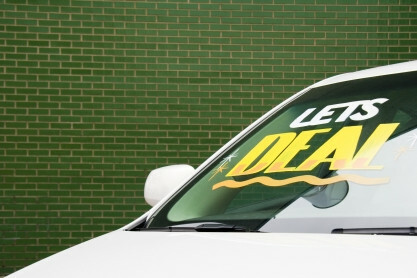 Worried that you won't be able to save up 20 percent of the vehicle's price for a down payment? You'll be happy to learn that some auto financing plans require down payments as low as $500. Instead of monthly payments, these loans feature convenient weekly or bi-weekly payment plans determined by your pay schedule at work. It's easy to forget a bill if you only pay it once a month, but it's much more difficult if you pay it every week or every other week. While some dealerships that offer these loans will report your payments to the credit bureaus, most do not. This means these auto loans may not help to rebuild your credit scores. This is something to take into careful consideration when determining whether to use a car lot offering in-house financing options or a subprime lender. Bad credit auto financing interest rates tend to be higher than those attached to conventional auto loans but many dealers will sweeten the deal with special incentives if you purchase a brand new car. Writing for the Examiner, Ryan D. Neely explains that many dealers will offer loans with "a very low interest rate on a brand new car." In some cases, you can actually purchase a new vehicle for less than a used one. It all depends on your particular situation and the dealer you are working with. Your shopping experience will be slightly different with Auto Credit Express. You'll need to pre-qualify for a loan before you visit the dealership and begin shopping around, but this process ensures that you'll be shopping for a car that you can afford. When it is time to pick out a vehicle, you'll just need to fill out some paperwork, and you're then able to drive off with your new or used car.